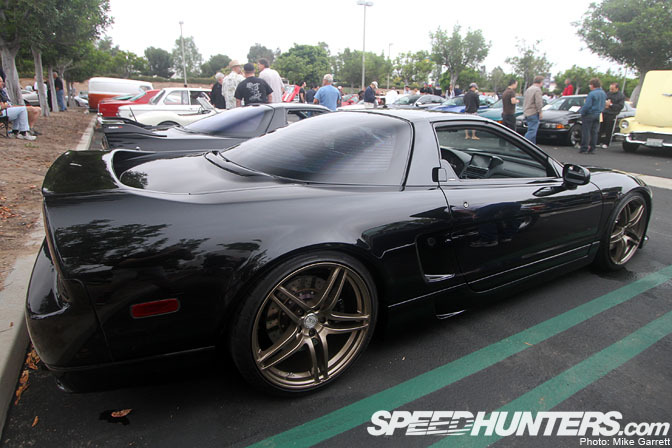 So, is anybody out there going to be Speedhunting this weekend? Here in the USA we've got a three-day weekend thanks to Labor Day, meaning there's some good possibilities for automotive action. 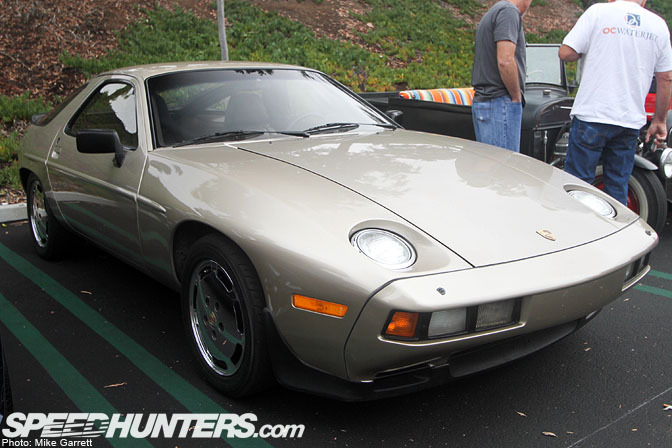 For those in SoCal, Cars & Coffee never fails – here's some more photos from last weekend's edition. I've posted this E92 M3 at least once before, but it never gets old. I remember when the turbocharged Buick Grand National was considered a "modern" muscle car. These things are over 25 years old now! How can you not like sleeper muscle cars? Something like this big block-powered Chevelle sedan rolling on steelies and poverty caps. I usually don't get terribly excited about late model Lambos, but this blacked out Murcielago was looking hard. 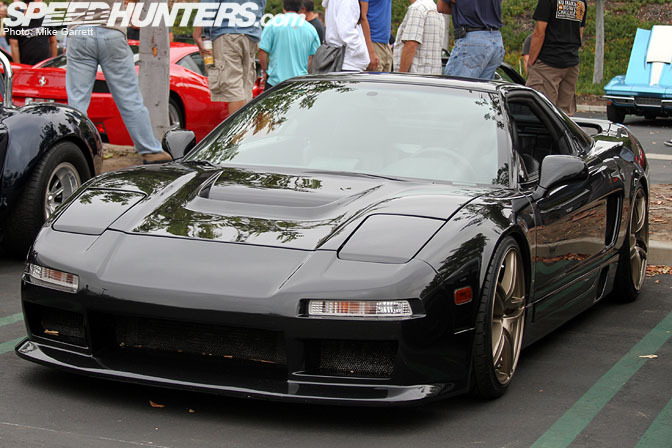 Yep, the 1990's were a good time for automobiles. 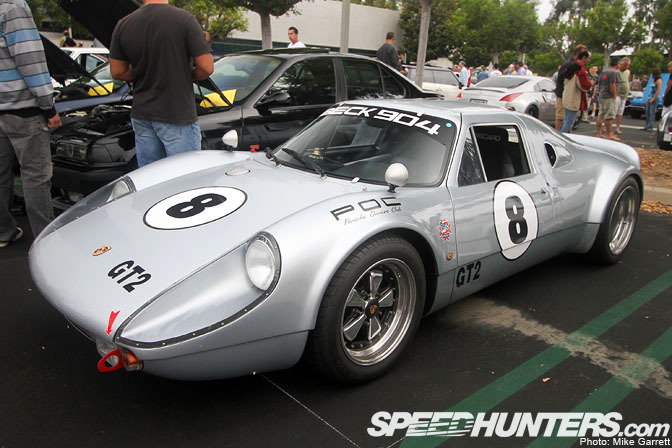 This fine Porsche 904 replica is done by a company called Beck out of Atlanta. The fact that it's a replica just means you can enjoy it even more without regret. Interesting color on this Mach 1 Mustang. 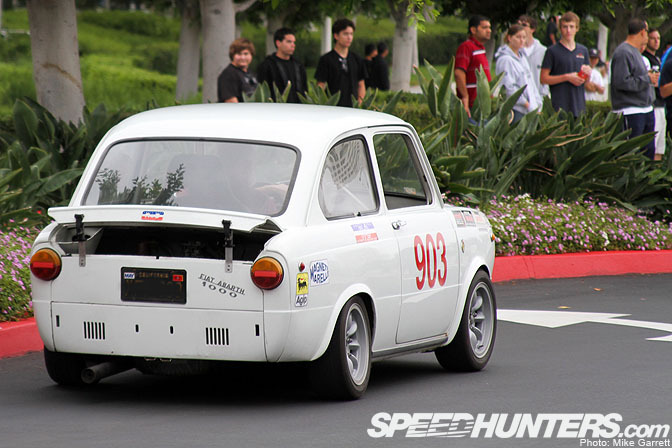 Here's the rear view of the Fiat I posted in the first story. As an American, I feel have to salute in the presence of such incredible machinery. 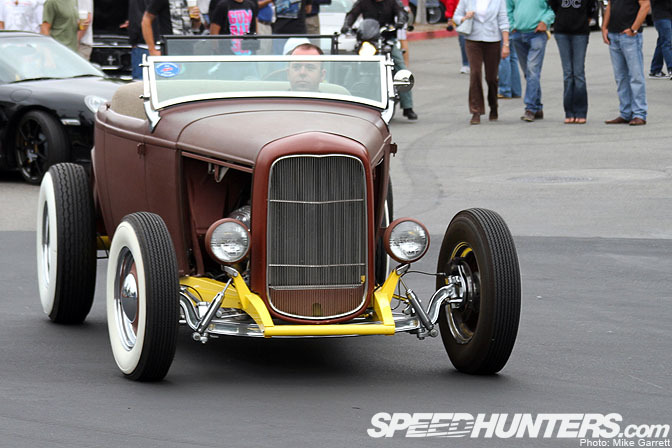 Another one of the traditional hot rods that made it out. 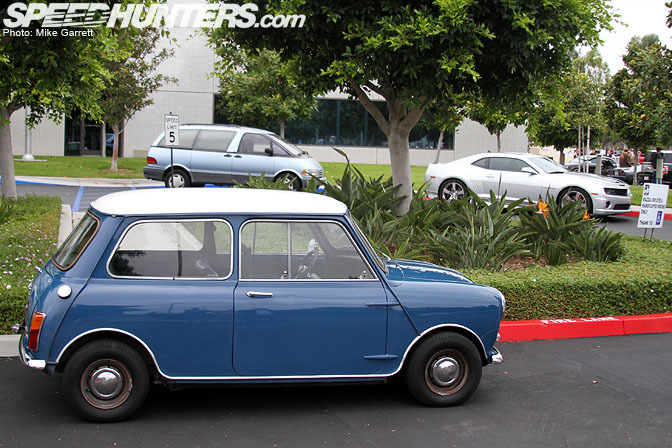 Original Minis are pretty common in a lot of countries around the world. Not so much here in the states. This Fox Body 5.0 Mustang was immaculate. 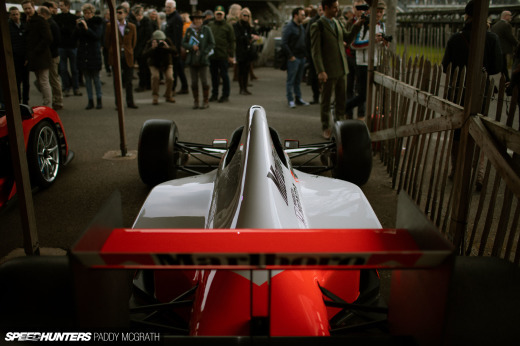 Nice to see these cars getting some historical recognition, aside from their long established reputation as performance bargains. 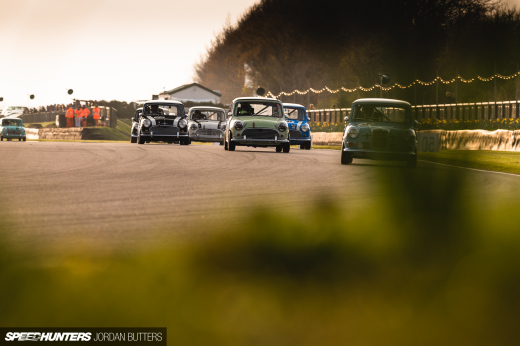 …or something that's genuinely classic. Until next time! Have a good weekend everyone. 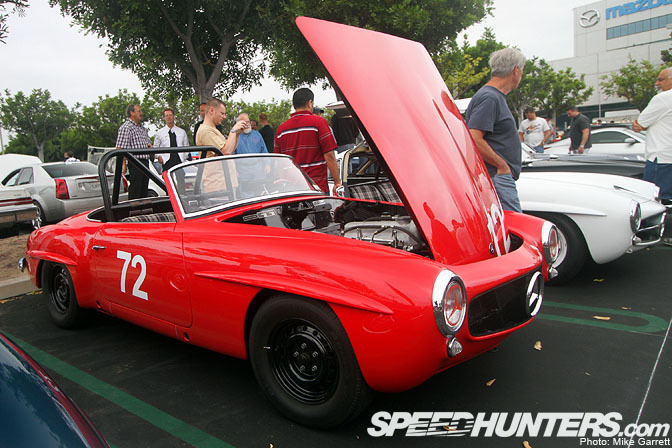 The red Mercedes race car is actually a 190 SL, not a 300 SL. 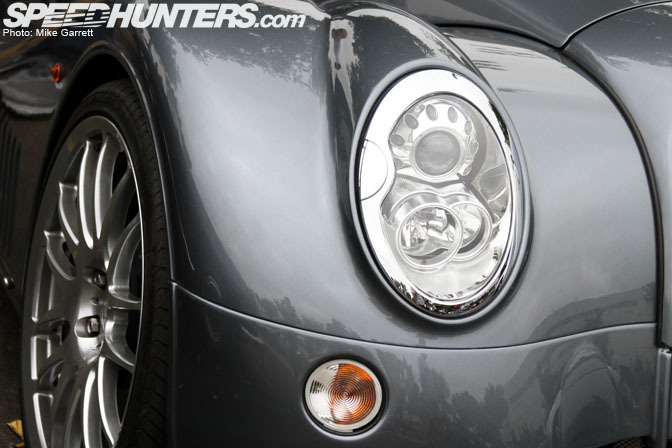 are those the headlights of a silver morgan? the gnx and e92 look absolutely amazing! 2 of my favorite cars. 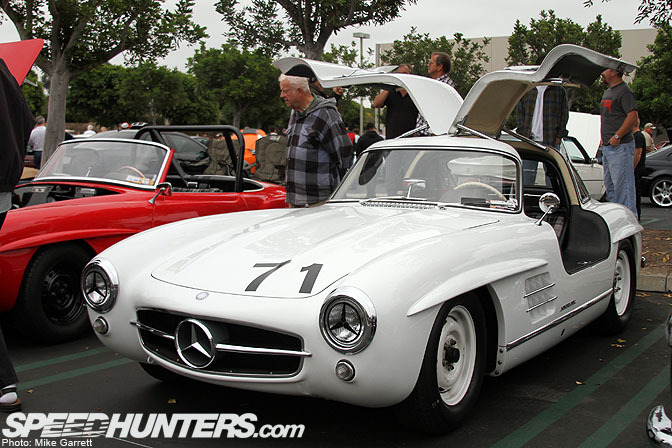 Jake,,who said the red Mercedes race car is a 190 SL? there wont be much speed this weekend for me. However i will be pulling my KA out of my S14 and cleaning up the engine bay so i can drop my RB20 in its place. No picture of the 2 924 GTSes? Vette looks ricey with that lame hood and chromies. 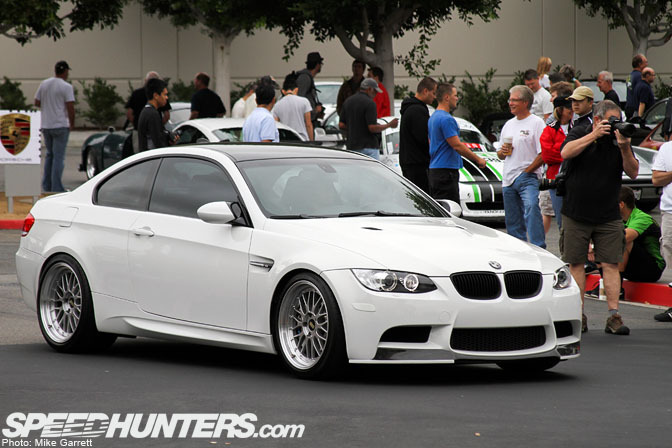 does that E92 m3 belong to Judy from driving concepts. I have seen her ripping around the track on one of those. 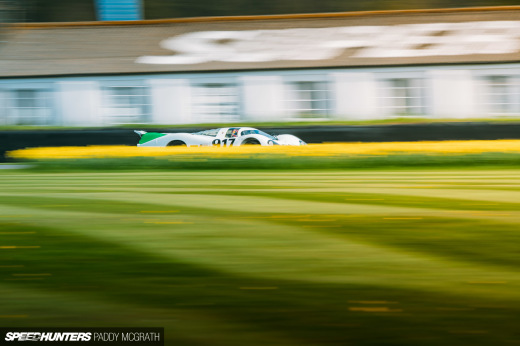 That 904 replica looks great. I'm gonna be speedhunting at Lime Rock Park for the vintage fest on monday. That Monte Carlo looks wicked. Some nice shots there. I'm at Cars and Coffee EVERY weekend! I'm surprised you didn't manage to get me in any of the shots. BTW the blacked out Murcielago is the only Black one of the 20 Versace editions built. 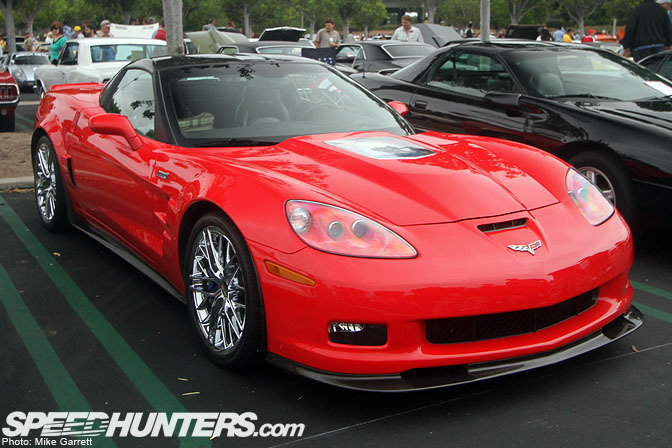 this Vette looks really,I mean REALLY good,but not in red paint. It's beautiful like teenager's face. that fox body 5.0 is parked in a handicapped spot! Every Saturday morning here in Great Falls, VA there is a similar meet. In fact I call it the East Coast Cars & Coffee. Saturday was my first time and it was overwhelming! 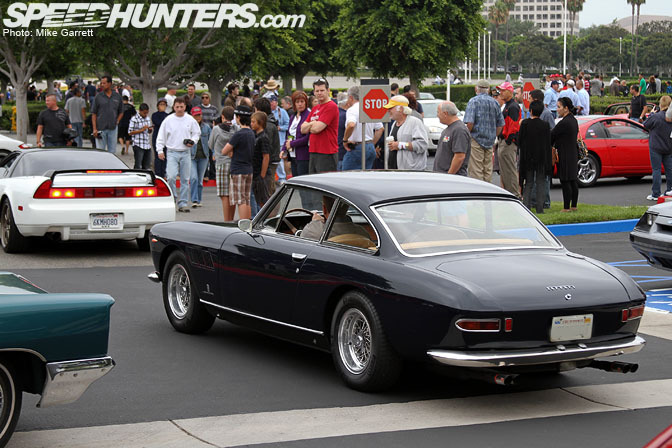 Nearly 40 Ferraris including an F40, a vintage 365 GTB, two 430 Scuderias as well as countless F430s, 360 Modenas, 355s, 328s, and a gorgeous 246 Dino. 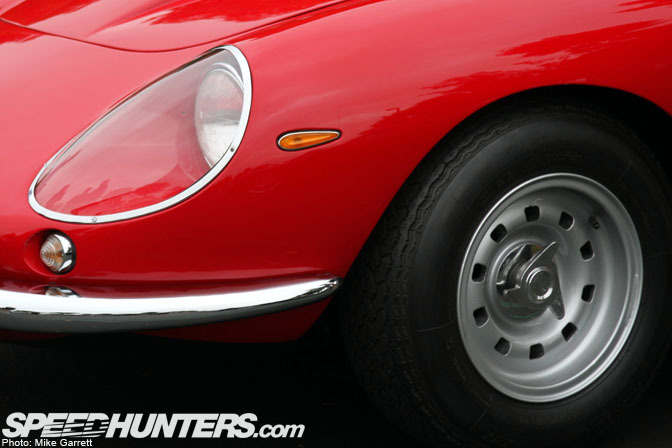 In addition, there were vintage Jag E-types, XK120s, classic Porsches, a brand spankin' new 911 GT3RS, a new SLS Gullwing, an AC Aceca, an Ariel Atom, several vintage Alfas, a vintage Marcos (one of only 5 in the US! ), an original Shelby GT350, a Fiat500 Abarth, a 1939 Lincoln Zephyr, a Panoz AIV Roadster and more!!! Apparently, a couple weeks back there was even an original Bugatti!!! Unfortunately, I missed that one. Later that day, I went to an ENORMOUS hot rod show in Pottstown, PA where some of the finest hot rods and customs show up. What an epic day! I have about 500 high quality pictures from that day if you want to use them, Mike.